with “Coolinarian” extraordinaire Nancy Weber–Thank you Nancy for all you do!!! As the onions cook down keep stirring every few minutes watching the heat so that the onions cook using its own water without burning or sticking or getting brown too quickly. 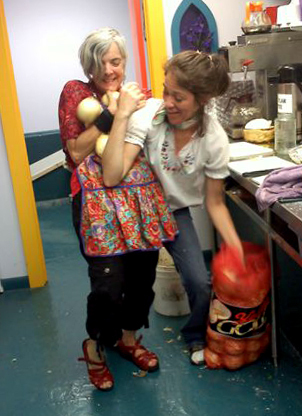 The whole process takes 35 to 1 hour or until onions are a rich golden color. Deglaze the pan onion pan with 1 cup of white wine. In a Dutch oven, add the wine, caramelized onions, 4 cups of broth, salt and pepper to taste. Cook for 10 minutes. Cut slices of rustic bread or baguette and toast. 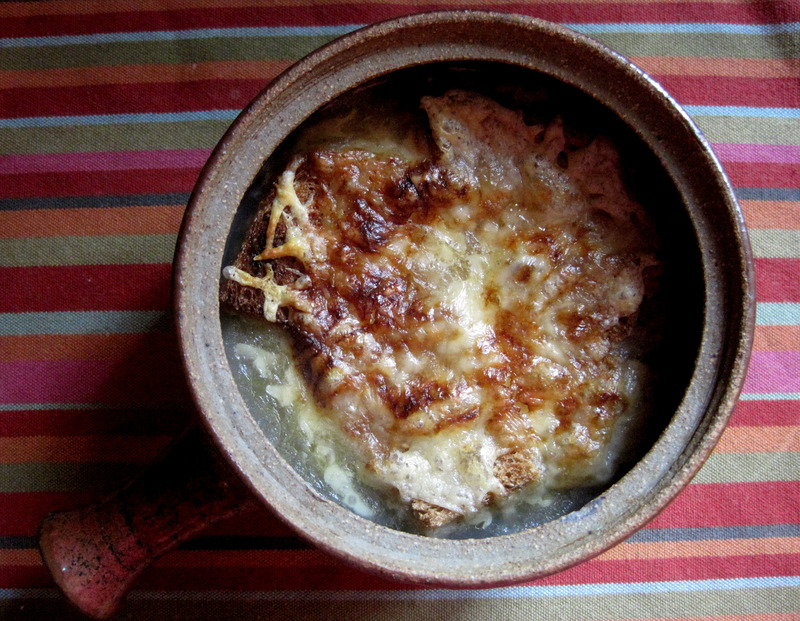 Add the soup to oven safe bowls, add a slice of bread on top and cover with ¼ cup grated Gruyere cheese on each bowl. Bake oven 400F until cheese is melted. Bring the brine and spices to a boil. 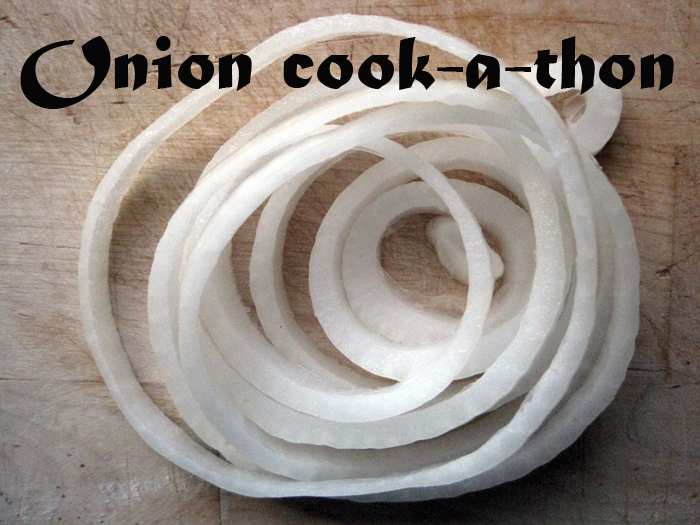 Add onions to the brine in batches and blanch them for 15 seconds (still firm). Drain them and let them cool completely. Let the brine cool. 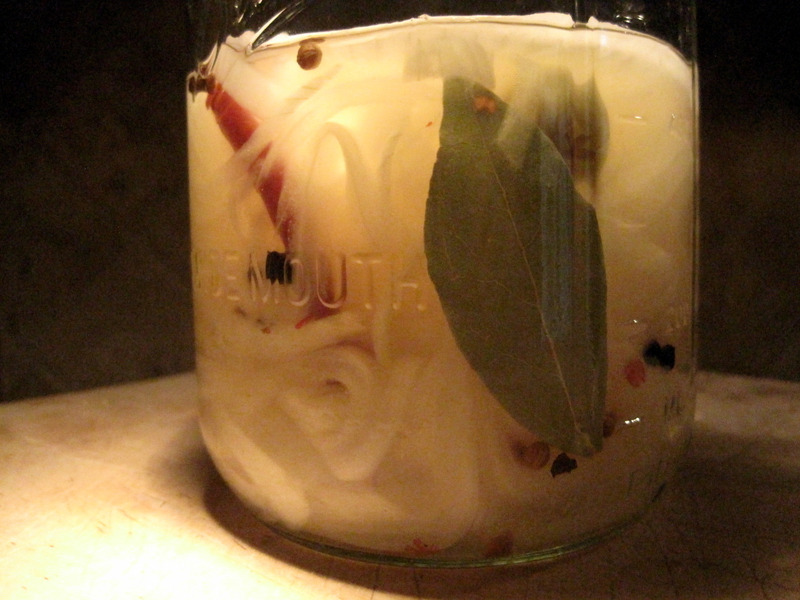 Add onions, garlic, olives to jars submersed in the brine and spices. Store in the refrigerator. 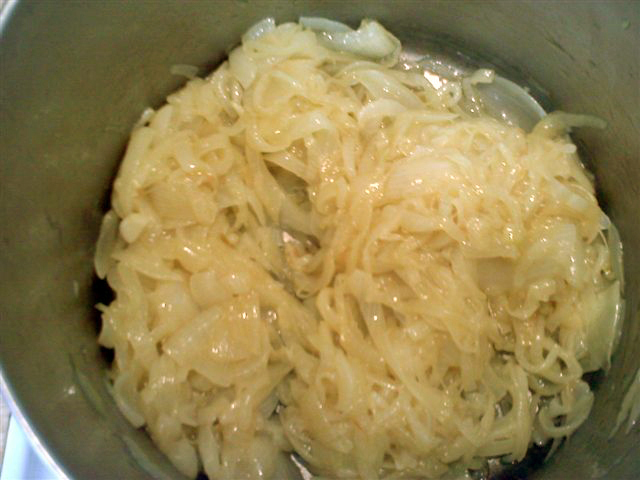 Cook onions in the olive oil stirring over medium-high heat for about 5 minutes. Add tomatoes, oregano, cooking one minute more still some liquid left, add garlic and oregano, cook until most of the liquid has evaporated. 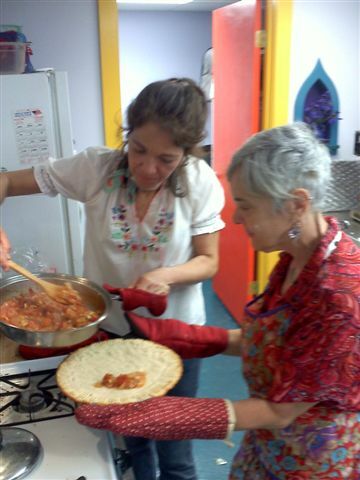 Layer over pizza dough, or tart pastry. 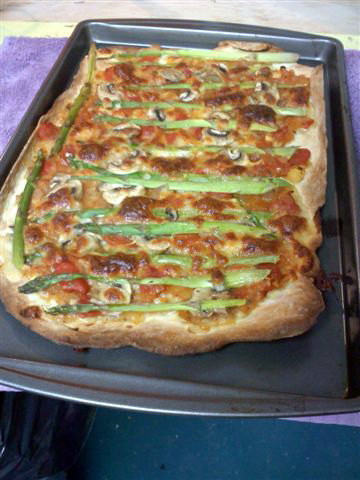 Add raw asparagus sliced lengthwise, mushrooms and top with grated mozzarella cheese. 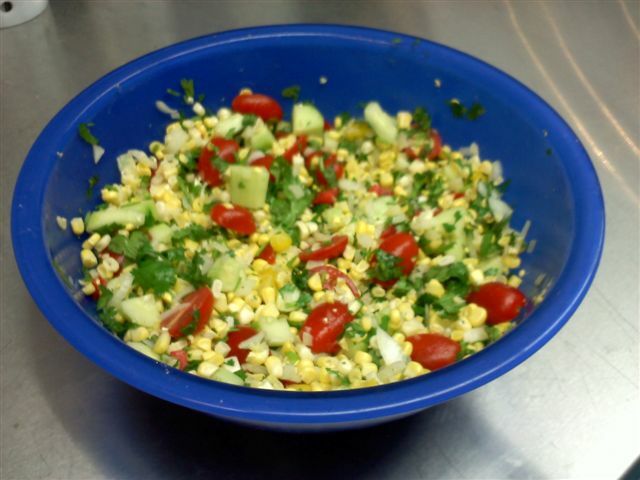 Cut in a bowl 4 ears corn on the cob, kernels scraped, 2 bunches of cilantro, 1 seedless cucumber, 8 ounces cherry tomatoes, 1 small red bell pepper, chopped, 1 lemon, 3 tablespoons of olive oil, 1 tsp of cumin, and a medium onion chopped.